The new QBI deduction, created by the 2017 Tax Cuts and Jobs Act (“TCJA”) allows many owners of sole proprietorships, partnerships, S corporations, trusts, or estates to deduct up to 20 percent of their qualified business income. Eligible taxpayers can also deduct up to 20 percent of their qualified real estate investment trust (“REIT”) dividends and publicly traded partnership income. The QBI deduction is available in tax years beginning after Dec. 31, 2017, meaning eligible taxpayers will be able to claim it for the first time on their 2018 Form 1040. Safe Harbor Guidance. The guidance included a notice on a proposed revenue procedure providing a safe harbor for certain real estate enterprises that may be treated as a trade or business for purposes of the QBI deduction. 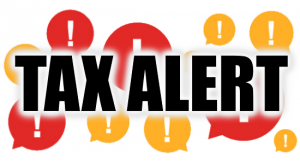 This notice allows individuals and entities who own rental real estate directly or through a disregarded entity to treat a rental real estate enterprise as a trade or business for purposes of the QBI deduction if certain requirements are met. Taxpayers can rely on this safe harbor until a final revenue procedure is issued. One important point to note is that taxpayers can still rely on case law dealing with rental activities as Alan Gassman has recently pointed out. This safe harbor is available to taxpayers who seek to claim the deduction under section 199A with respect to a rental real estate enterprise. If the safe harbor requirements are met, the real estate enterprise will be treated as a trade or business as defined in section 199A(d) for purposes of applying the regulations under section 199A. Safe Harbor Definition. Solely for purposes of this safe harbor, a rental real estate enterprise is defined as an interest in real property held for the production of rents and may consist of an interest in multiple properties. Taxpayers must either treat each property held for the production of rents as a separate enterprise or treat all similar properties held for the production of rents (with the exception of taxpayers who rent out their personal residence part of the year) as a single enterprise. Commercial and residential real estate may not be part of the same enterprise. Taxpayers may not vary this treatment from year-to-year unless there has been a significant change in facts and circumstances. (C) The taxpayer maintains contemporaneous records, including time reports, logs, or similar documents, regarding the following: (i) hours of all services performed; (ii) description of all services performed; (iii) dates on which such services were performed; and (iv) who performed the services. Rental services. Rental services include: (i) advertising to rent or lease the real estate; (ii) negotiating and executing leases; (iii) verifying information contained in prospective tenant applications; (iv) collection of rent; (v) daily operation, maintenance, and repair of the property; (vi) management of the real estate; (vii) purchase of materials; and (viii) supervision of employees and independent contractors. Rental services may be performed by owners or by employees, agents, and/or independent contractors of the owners. The term rental services does not include financial or investment management activities, such as arranging financing; procuring property; studying and reviewing financial statements or reports on operations; planning, managing, or constructing long-term capital improvements; or hours spent traveling to and from the real estate. Triple net lease excluded. Real estate rented or leased under a triple net lease is not eligible for this safe harbor. For purposes of this revenue procedure, a triple net lease includes a lease agreement that requires the tenant or lessee to pay taxes, fees, and insurance, and to be responsible for maintenance activities for a property in addition to rent and utilities. This includes a lease agreement that requires the tenant or lessee to pay a portion of the taxes, fees, and insurance, and to be responsible for maintenance activities allocable to the portion of the property rented by the tenant. Possible Planning. Alan Gassman has stated that the above definition seems to leave open the ability to avoid triple net lease status by having the tenant be responsible for some portion of the maintenance, taxes, fees, insurances, and other expenses that would normally be payable by a landlord, and many landlords will be well-advised to offer significant rent reductions to tenants who are willing to pay for some part of one or more items, so that the landlord can fit within the safe harbor to reduce the effective tax rate on taxable income from 37% to 29.6%, in addition to whatever may be saved in state income taxes and state sales taxes as a result of such adjustments.